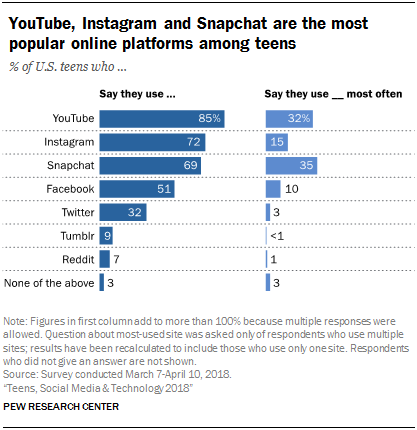 The survey found that 85 percent of teens use YouTube, 72 percent use Instagram and 69 percent use Snapchat. Facebook and Twitter register 51 percent and 32 percent, respectively. Too many kids texting under the sheets in the middle of the night and not getting enough sleep. How about a new house rule: all devices get docked at night. 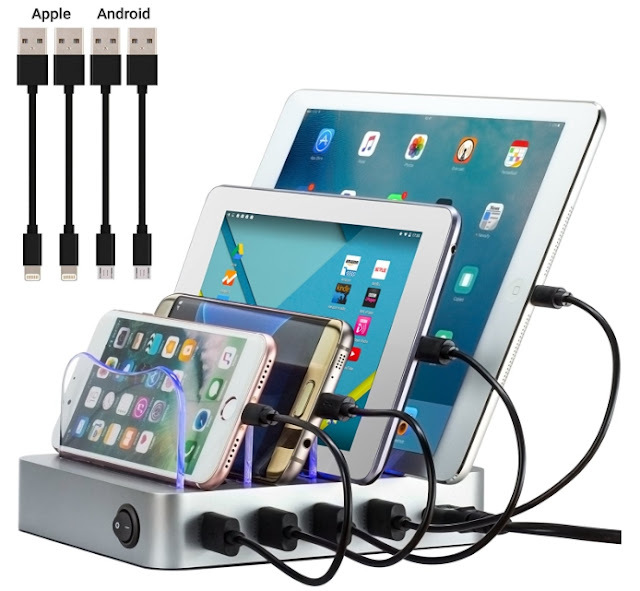 Check this one out on Amazon.